Knee pain is one of the most common injuries we see in our clinic, this is partly due to there being many different types of knee pain. But today I want to talk to you about the most common knee injury we treat here, it’s known as Patellofemoral Syndrome. So, what is Patellofermoral Syndrome and who is at risk? 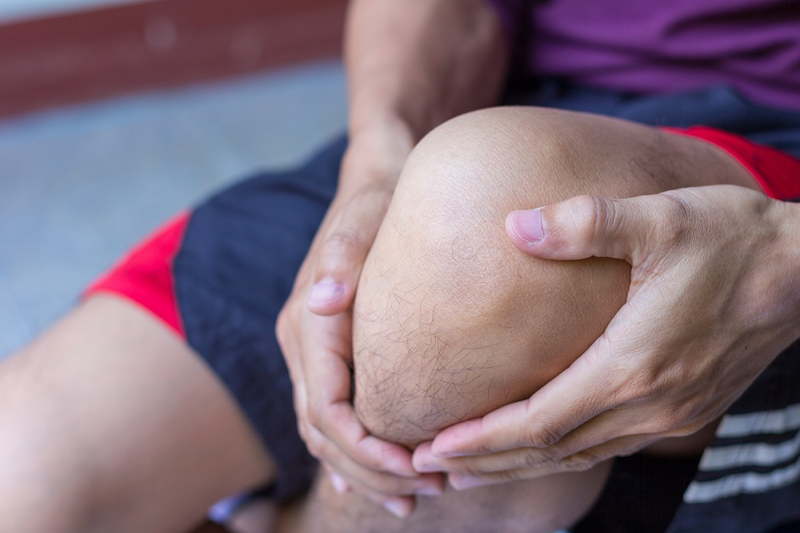 Patellofermoral Syndrome is a term to describe the pain in and around your knee cap. For some patients this pain can be hard to locate the source of the pain, and even harder to describe. As clinicians we describe the pain as vague and diffuse in nature. Almost everyone who is active is at risk of knee pain, including Patellofermoral syndrome, but there are certain groups that are more susceptible. People who exercise or play sports, particularly those that involve sudden changes in movement or speed could be vulnerable to knee injuries. This is because when you run, jump, twist and turn, the extra force and impact is taken by the knee joint. What leads to Patellofemoral Syndrome? Just like any injury, the exact causation can vary tremendously from one person to the next. In many of the PFJ syndrome cases that we treat, there is often a combination of several of the above contributing factors all present. What can you do to help combat this injury? First of all, you will need to be assessed by an expert who sees PFJ and successfully treats it often. When you do present to your practitioner, it will really help in our differential diagnosis and subsequent management if you can keep a record of how your pain has been behaving up to that point. You should also always inform your therapist of any previous injuries you have suffered that may be affecting your present condition and future management. The more accurate the information you are able to provide to your physio, the easier it is to determine the best management plan for you so that you can make a successful recovery. So if knee pain is preventing you for performing the activities you enjoy, or if you believe the way your body moves may be placing you at risk of developing knee pain in the future, please call our clinic on Newport (02) 9997 4970 or Balgowlah (02) 9949 3770 so we can get you on the road to recovery.